The Sixth Annual Bentley Scottsdale Polo Championships: Horses & Horsepower is only a few months away! In anticipation of the world’s most interesting polo event, we’re counting down the best of the best – from players to puppies, fashion and cars – until the big day, November 4, 2017! Here are five of the most exciting action shots we captured from last year’s event along with some fun facts about the sport. 1) The ball can travel at 110 miles per hour, so keep your eyes on the action. 2) Polo matches are split up by periods called Chukkers that each last 7 1/2 minutes. 3) Come out to watch riveting games of polo, which combines elements of hockey and golf. 4) At half time the crowd gets to come out onto the field to “Stomp the Divots” which is very important to help ready the field of play. 5) The four matches throughout the day showcase the power and beauty of polo. The Bentley Scottsdale Polo Championships will host Polo Azteca vs. La Jolla Polo, Scottsdale All-Stars Polo Team vs. Palm Springs Polo, and the defending champion Aspen Valley Polo Club vs. Palm Beach Polo Club. New this year: a Sunset Match featuring the most beautiful women in American polo will conclude the day along with our inaugural Cultural Concert and fireworks. The event is again expected to draw the biggest crowd for a polo event in the country enjoying the four-match showdown. Tickets in all categories are on sale now at www.ThePoloParty.com! General Admission, including access to all polo matches, tents, car displays, the Cultural Concert and finale fireworks, start at just $20. New this year too are “Twilight Tickets” if you can’t join us until later in the day. 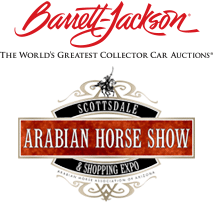 All table purchases in the Molina, the Barrett-Jackson, and the ArtPolo Auction Pavilion, will include a bottle of Veuve Clicquot Champagne.